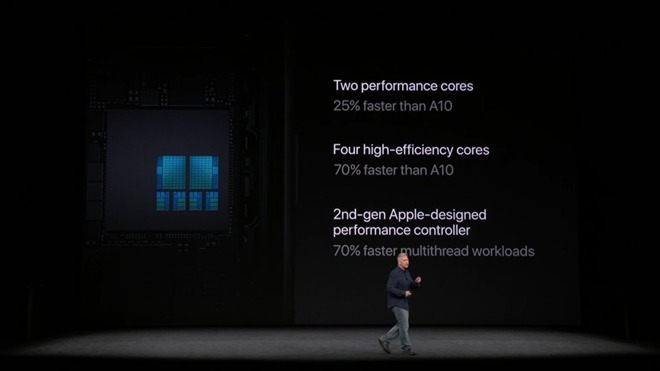 The A10 Fusion in the iPhone 7 was Apple's first to use two high-performance cores, and two high-efficiency cores —but how the cores were addressed was possibly less efficient than it could have been. It appears that silicon is reaching limits, imposed by the laws of physics. 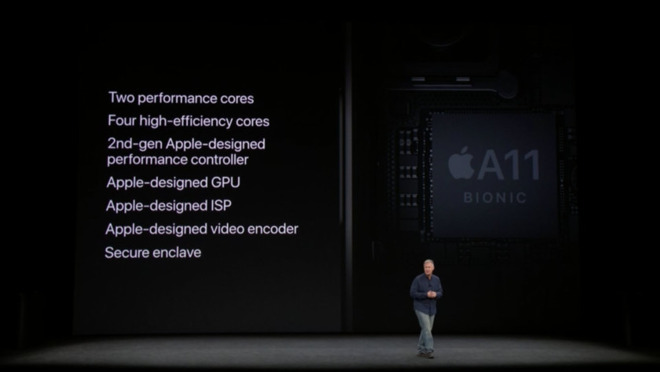 Srouji, without commenting on specifics, said that Apple was "thinking ahead" on the matter —but given that the A11 Bionic was three years in development, the executive has confidence that Apple had more tricks up its sleeve, and advances ahead.